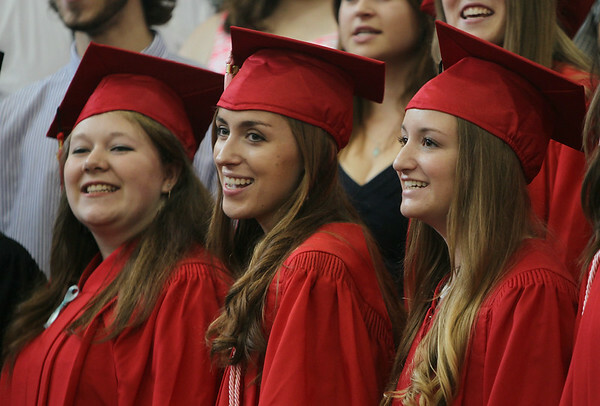 Marblehead High School graduates Mia Plympton, Julia Taliesin, and Phoebe Addis sing "I Lived" with other members of the MHS Chorus at graduation on Sunday afternoon. DAVID LE/Staff photo. 6/8/14.